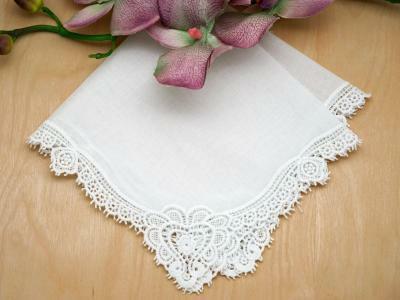 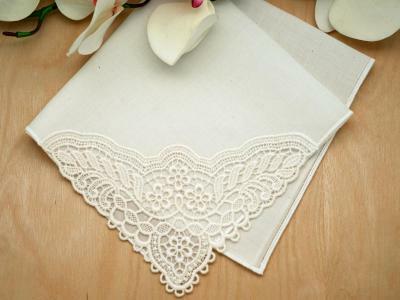 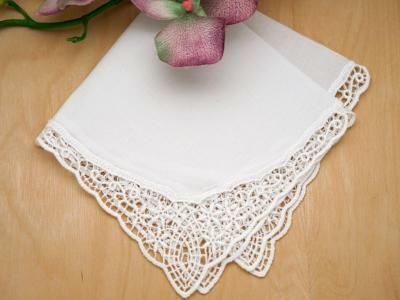 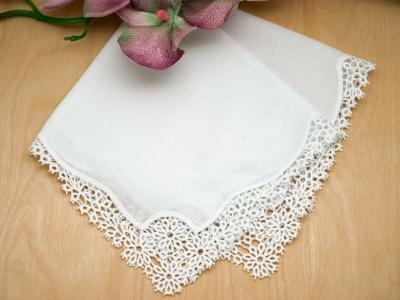 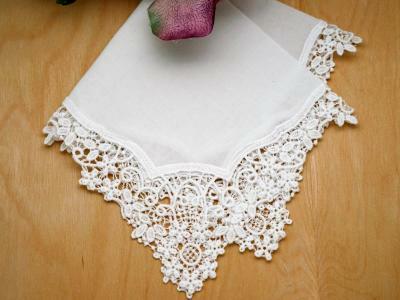 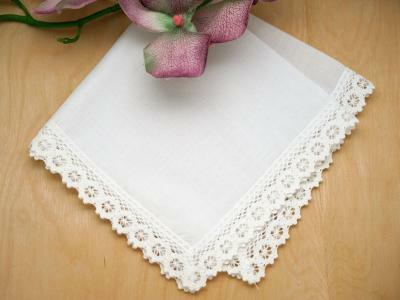 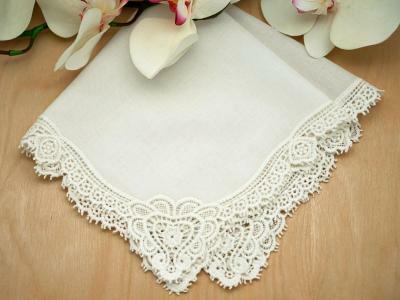 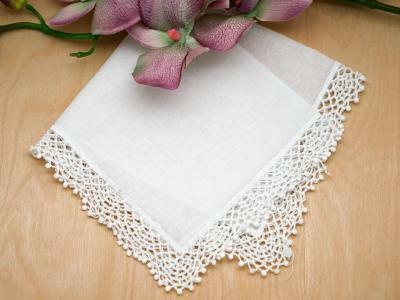 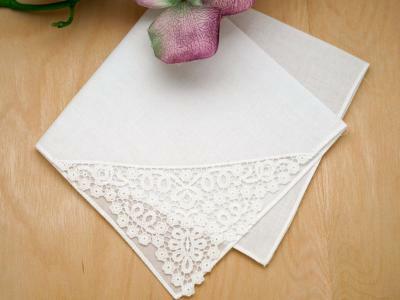 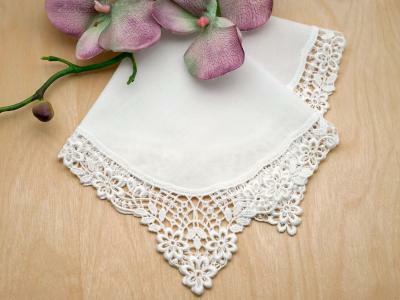 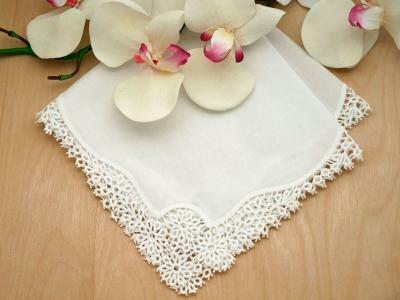 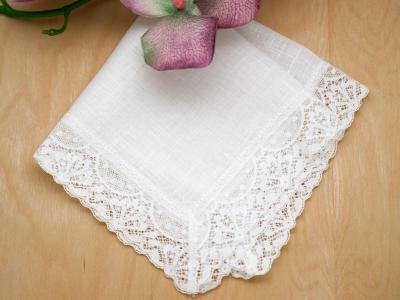 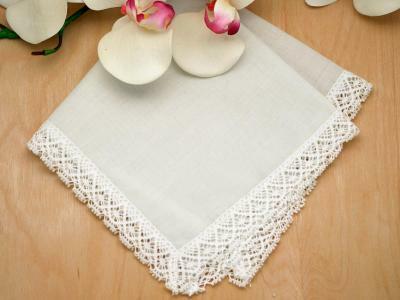 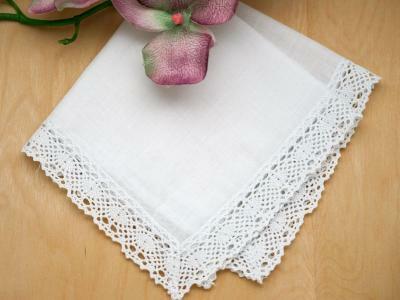 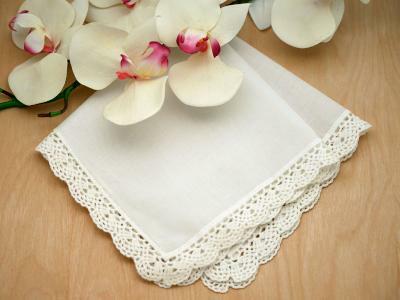 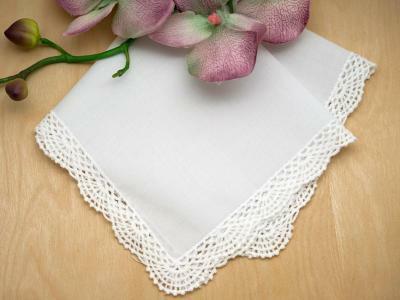 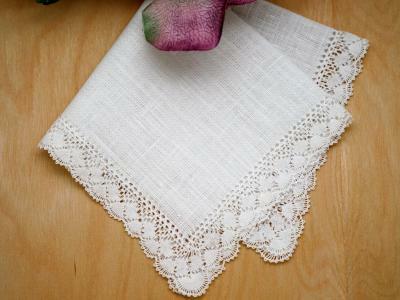 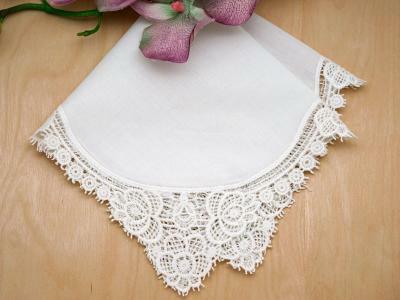 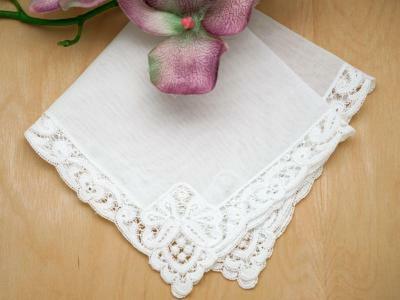 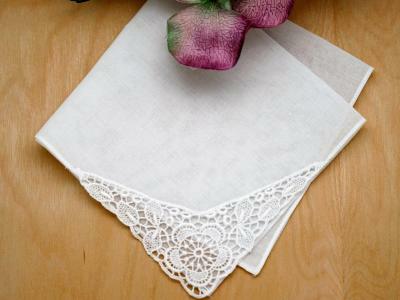 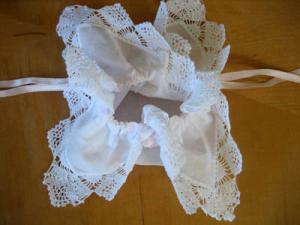 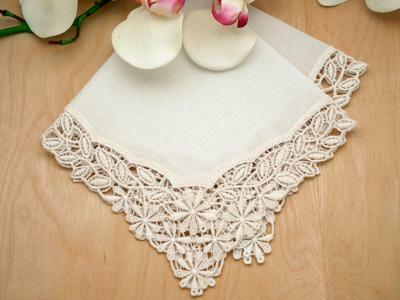 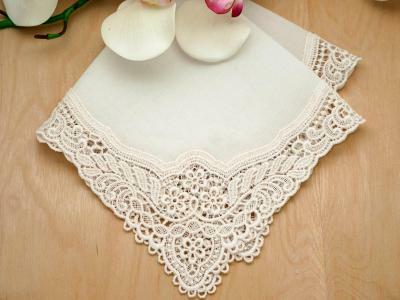 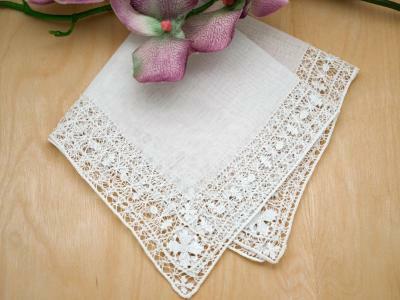 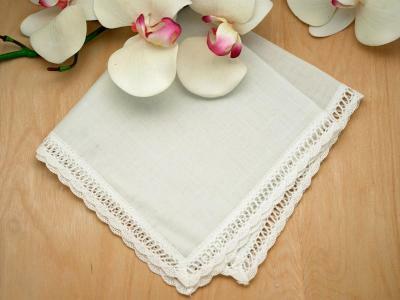 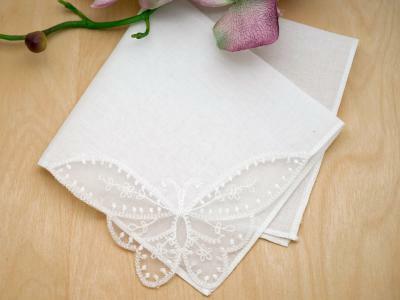 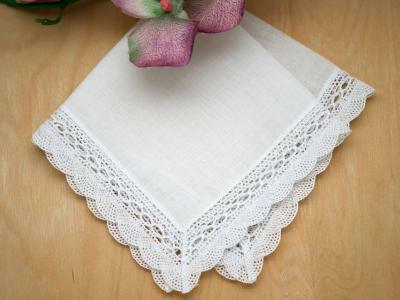 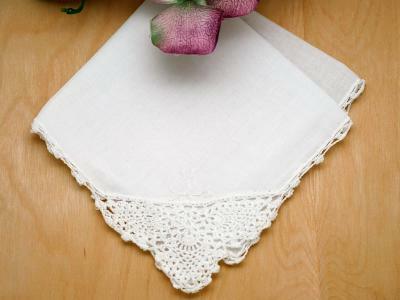 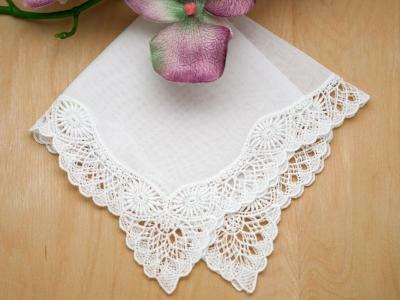 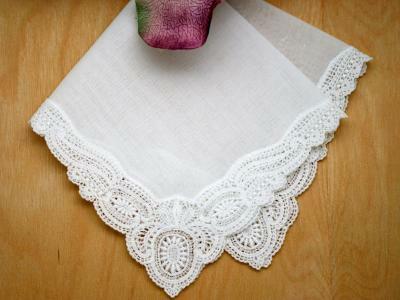 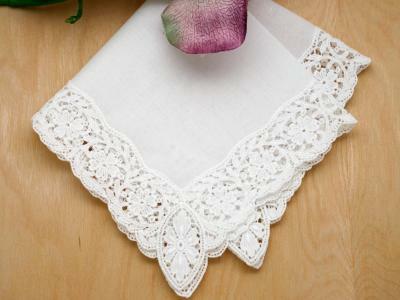 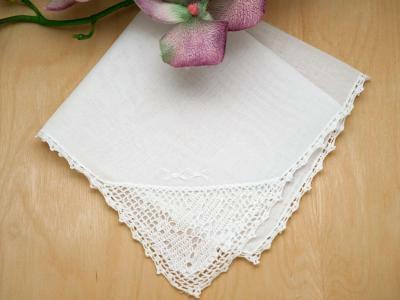 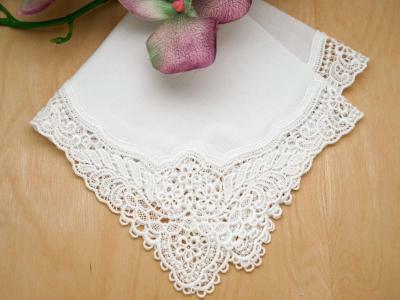 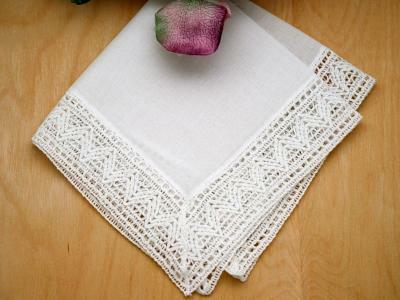 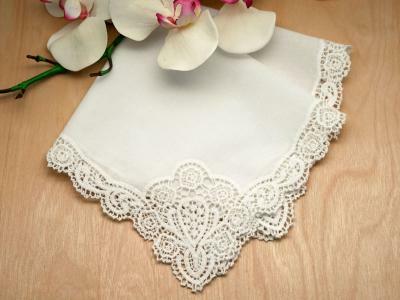 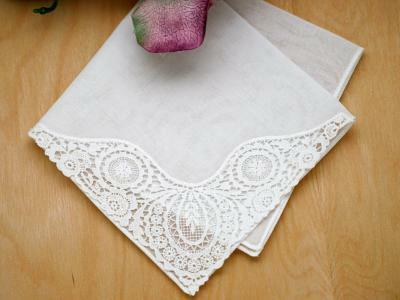 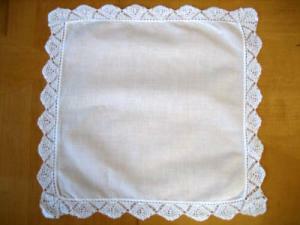 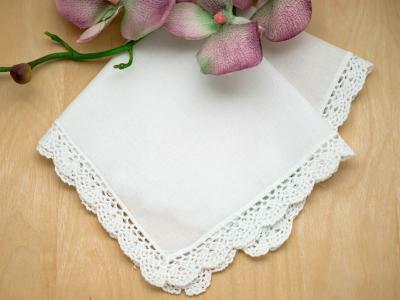 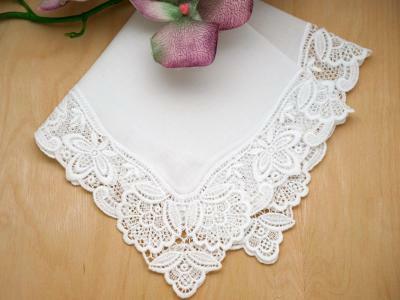 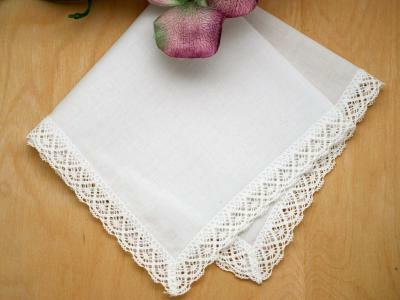 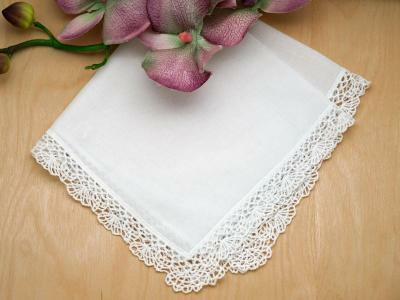 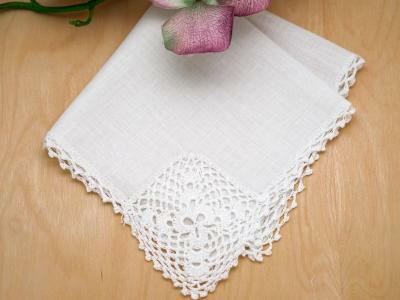 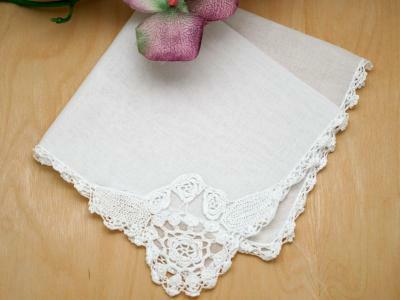 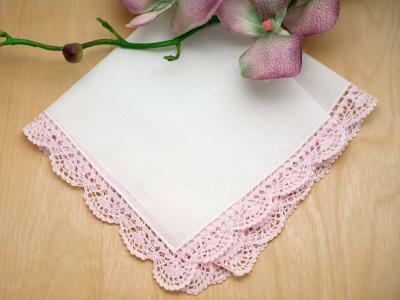 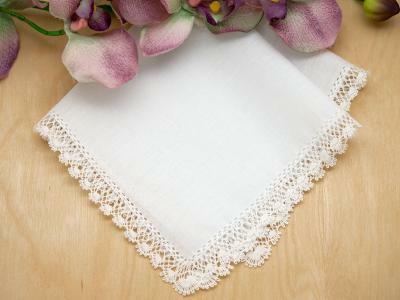 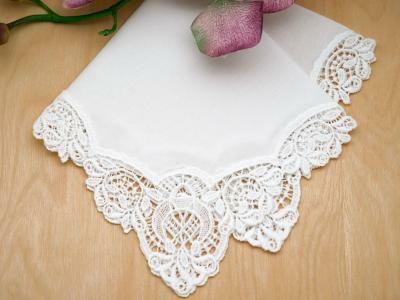 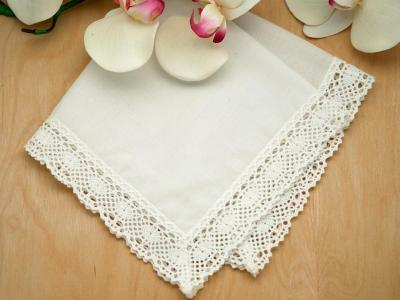 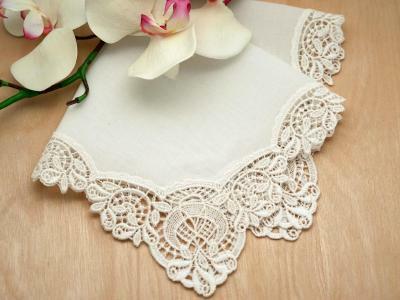 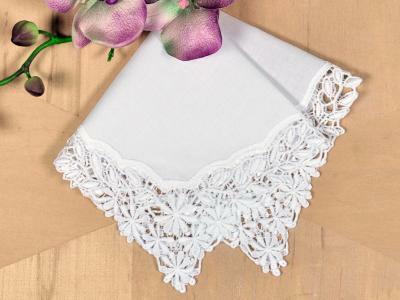 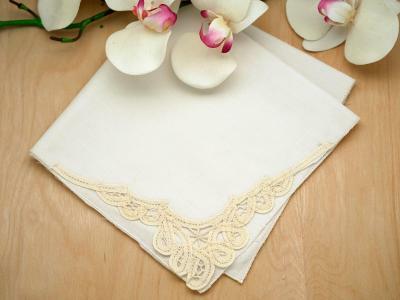 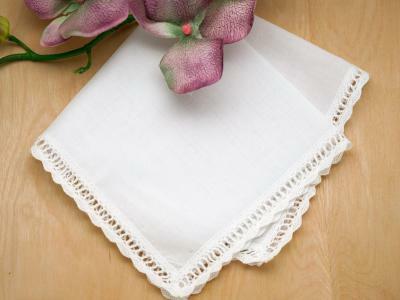 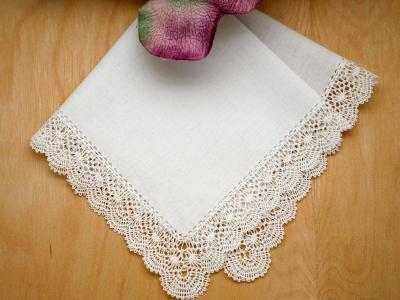 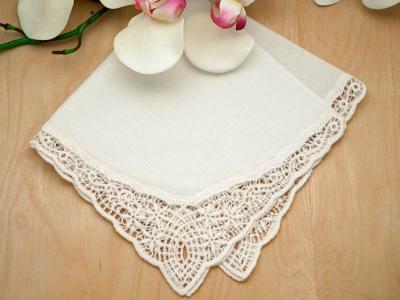 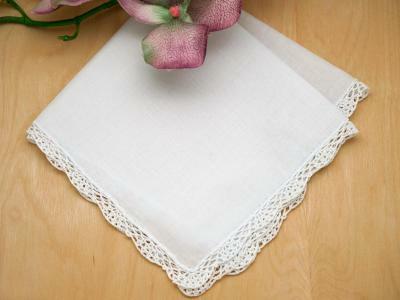 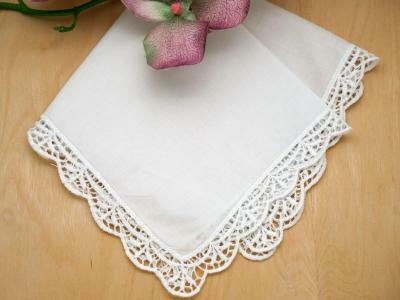 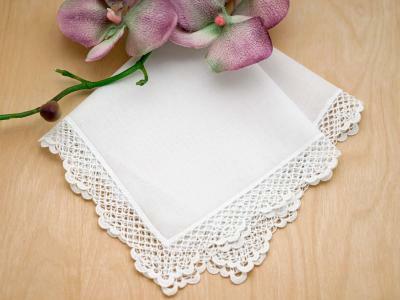 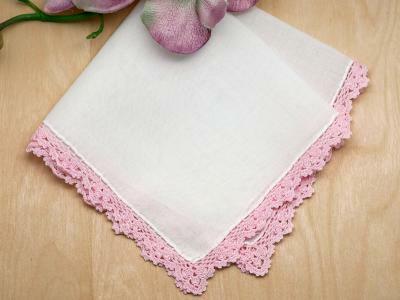 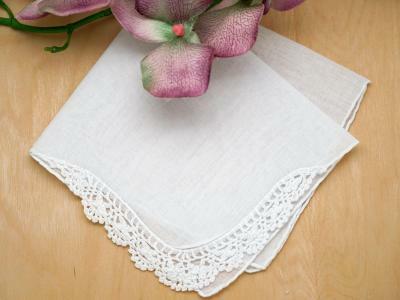 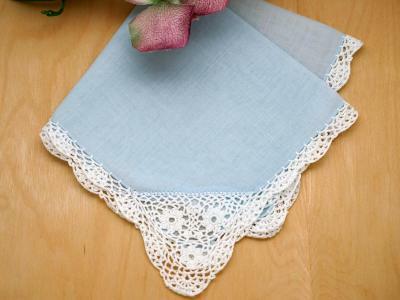 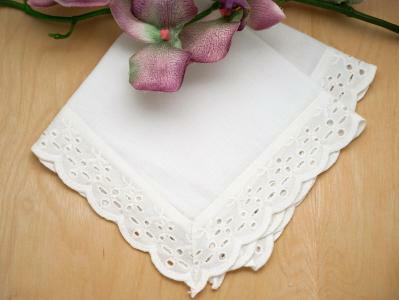 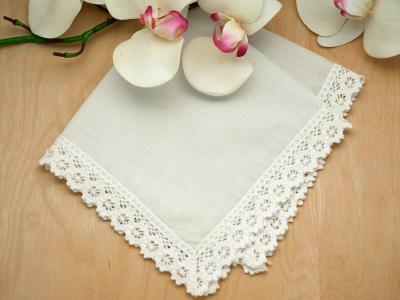 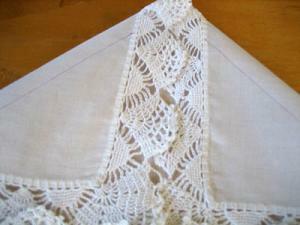 These lovely sachets made from our white lace handkerchiefs will add a delicate scent to your lingerie and wardrobe. 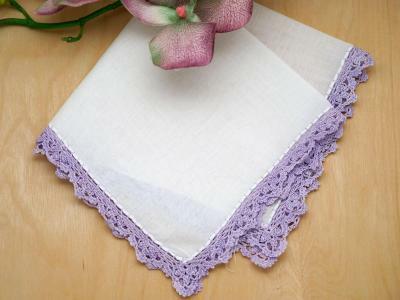 Fill your sachet with scented potpourri or english lavender to add a breath of fresh air anywhere in the house. 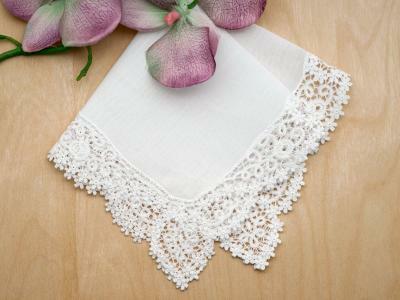 These also make a great gifts for bridesmaids or they can be given as bridal shower favors. 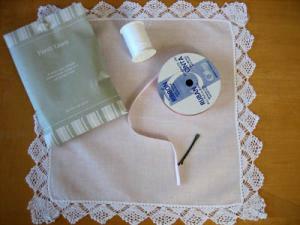 Iron the fold you've just made to keep it in place for sewing. 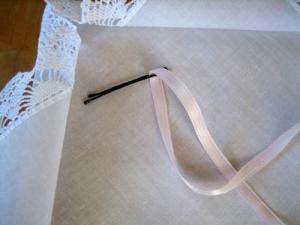 Now you have four casings to thread the pieces of ribbon through. 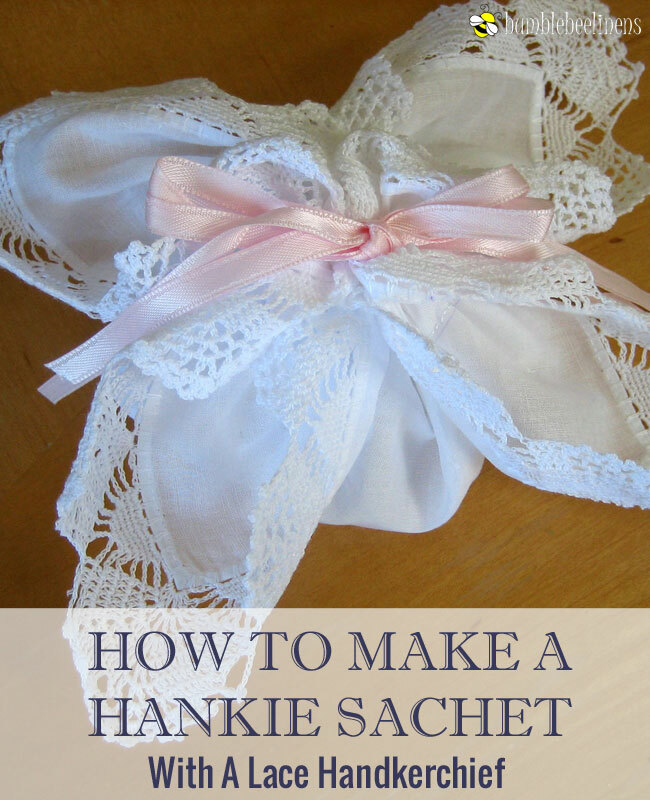 Repeat steps 6 and 7 with the second strip of ribbon but start in the opening on the opposite side of the hankie. 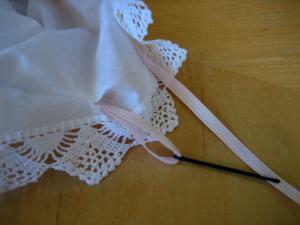 Now pull the ribbons tight on both sides of the hankie and tie a bow in the center of the sack with both ribbons. 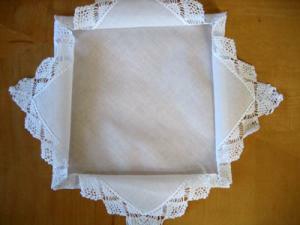 Fluff the edges of the lace. 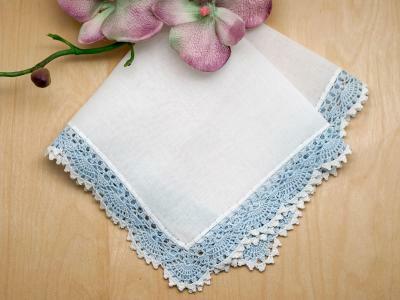 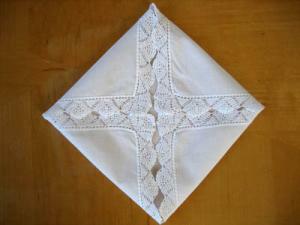 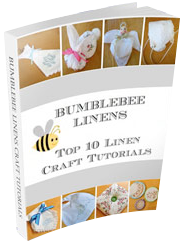 Congratulations you have just made a beautiful Hankie Sachet.